Olson Kundig designs pigeon lofts for Duke Riley's "Fly By Night" - Archpaper.com Olson Kundig designs pigeon lofts for Duke Riley's "Fly By Night"
For those living in or visiting New York City this May and June, the Seattle-based firm Olson Kundig is partnering with the Brooklyn-based artist Duke Riley on a weekend public art performance and installation piece, Fly By Night, in the Brooklyn Navy Yard. (Event tickets are sold out, but there is a waitlist.) The non-profit arts organization, Creative Time, commissioned the piece. At dusk on Fridays, Saturdays, and Sundays through June 12, the artist will awaken a flock of close to 2,000 pigeons living in a group of Olson Kundig-designed pigeon lofts resting on the docked and decommissioned Navy ship, the Baylander. The artist outfitted the pigeons with glowing LED leg bands. 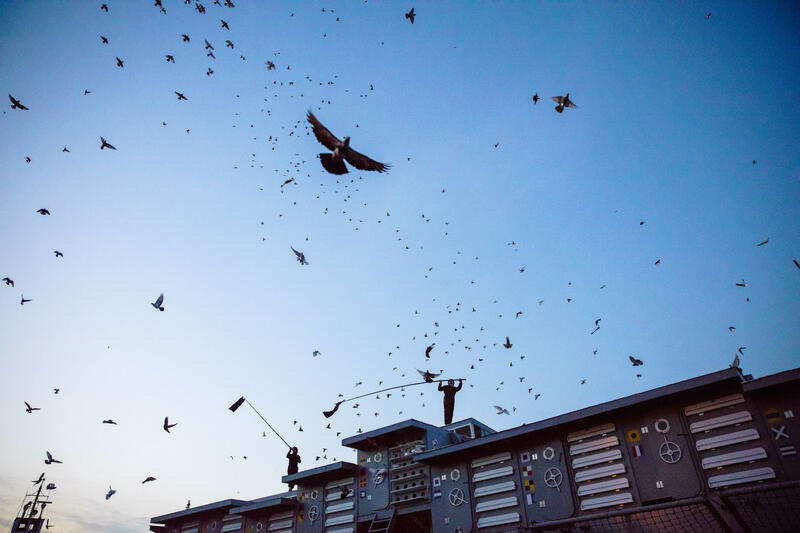 “We raise a flag and the birds then know to take off and start flying in different patterns,” Riley told the New York Times in a short video. 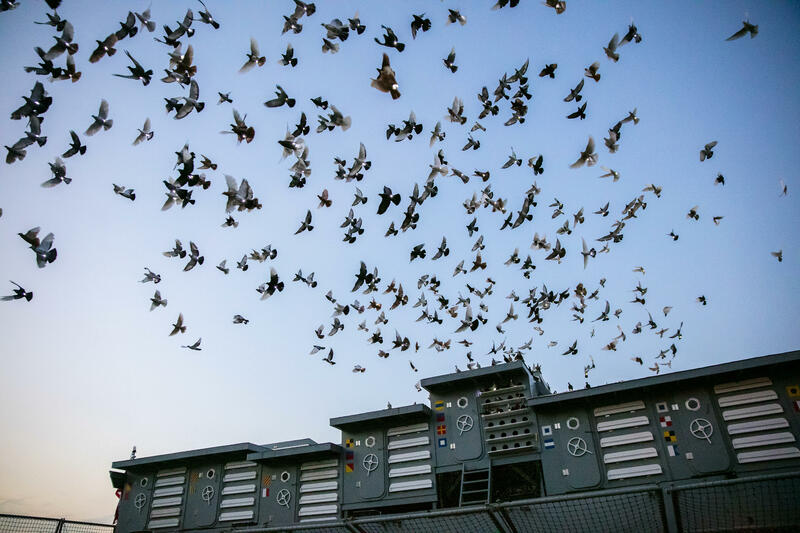 Riley was inspired by the site’s former use as the military’s largest pigeon coop. 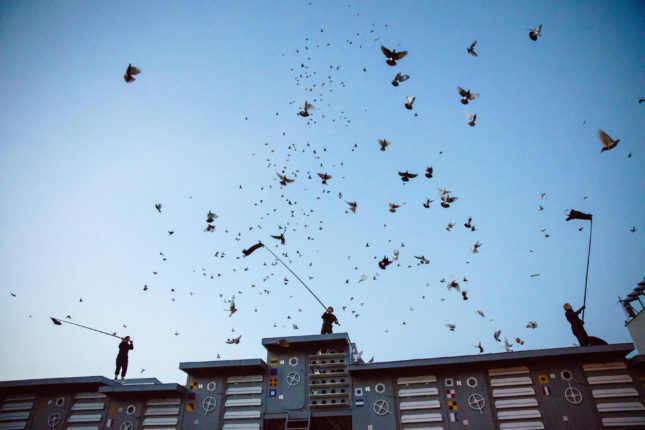 During World War II, the military used pigeons to deliver messages in the dead of night, with some pigeons traveling up to 600 miles in a single flight. After around 30 minutes, Riley calls the pigeons home with a whistle. 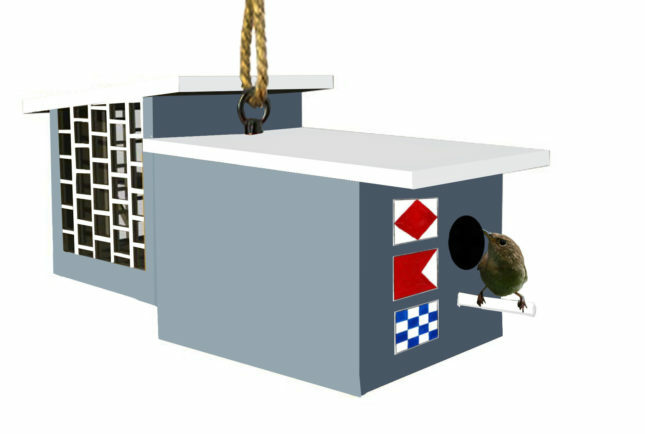 Becker also designed 25 bird houses, taking cues from the Fly by Night pigeon lofts, for the April 28 Creative Time Gala, to help raise funds for free public access to art.